A little more Peter Funch for you this morning. 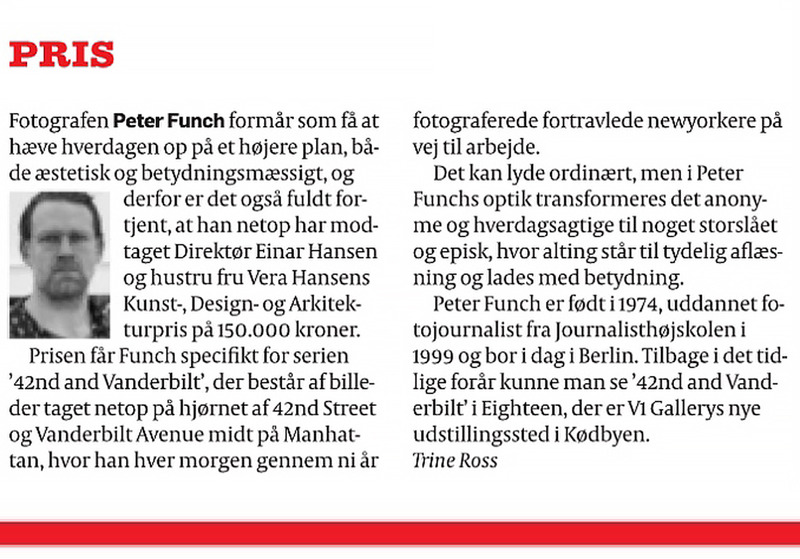 From Today’s Danish newspaper Politiken. Kind words from the art critic Trine Ross. Only in Danish.